The Snake River winds between the states of Oregon and Idaho. 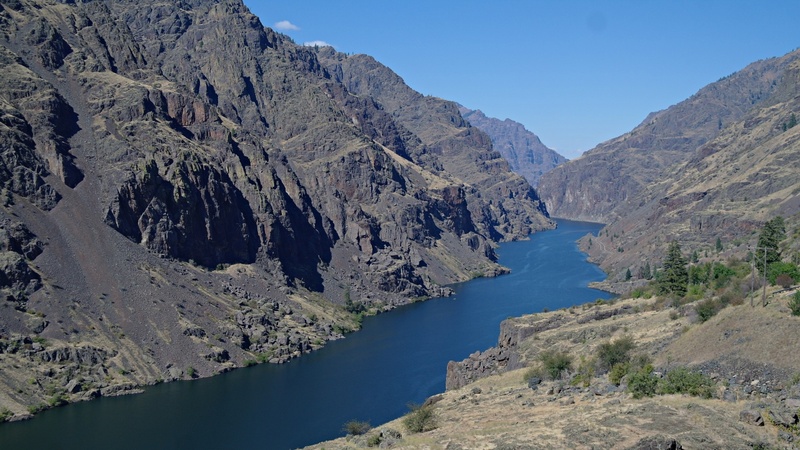 Hells Canyon is North America's deepest river gorge. At ten miles wide and over a mile and a half deep it almost rivals the Grand Canyon in its grandeur. Once you descend down to the river, you'll see this breathtaking lunar-like landscape punctuated by oases of greenery.